Why Natural Goats Milk Soap? "What's special about goats milk soap?" There are so many things it's difficult to know where to begin! I'll try to explain the best I can. The goats milk makes this homemade soap all worthwhile! Goats milk is a major source of milk worldwide, but there's a difference between it and cow milk. Here are a few major differences. - Goats milk is easier to digest than cow milk. - Goats milk has up to 47% more vitamin A than cow milk. - Goats milk has about 25% more vitamin B6 than cow milk. - Goats milk has about 350% more vitamin B3 than cow milk. Handmade soaps are formulated using a combination of emollient oils, (like olive and avocado) and butters, (like cocoa or shea), with lathering oils, (like coconut or palm kernel). These oils are mixed with liquid saturated lye. The chemical reaction between the oil and lye is known as saponification. Once saponification is complete, there's no lye left in the mixture. CAUTION! Lye is a strong alkaline solution, highly soluble in water. Wear protective clothing, goggles and gloves when using lye. If it contacts skin, it can cause burns or blisters. If you happen to get a lye burn, pour white vinegar on the burn to neutralize the lye. If you spill the lye, wipe the area with generous amounts of white vinegar to be sure all lye is neutralized. Goats milk soap has natural vitamins A, B, C, D, E, K! It can be made with gentle, natural, ingredients. There's no parabens and no damaging sulfates in this homemade soap! Instead of cheap, foaming, agents, natural coconut oil generates lather instead. This homemade soap can be handcrafted with fragrances, using natural essential oils. Maybe you'd prefer orange or spearmint. There are endless fragrant possibilities! CAUTION! Essential oils are potent chemicals! They should always be diluted! Understand essential oils before making soap! Some prefer an unscented soap, instead. If you're battling acne tea, tree oil, honey, oatmeal, aloe vera and other natural ingredients can be added to your goats milk soap recipe. Some manufactured acne products can cause serious problems! For instance, benzoyl peroxide, (BP), is used in many acne solutions, but long term use has the potential to damage skin! Skin appears more aged similar to long term sun exposure. Repeated use of BP can generate free radicals; damaging skin structure and cellular DNA. 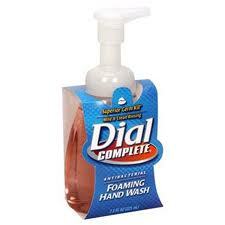 What's in your "antibacterial soap?" Many commercial soaps now include Triclosan, an unnatural chemical. Soap manufacturers use it in order to claim their soap has antibacterial properties. This controversial chemical may cause serious health concerns. Scientists have raised concerns about the use of Triclosan for decades. Commercial soaps may have harsh solvents, mineral oil and by-products of refined oil. Foaming agents and surfactants are added to these soaps to generate lather. Some of these chemicals are known to cause allergies and skin sensitivities. Cheap oils and harsh solvents cause antioxidants to be stripped away, leaving skin more vulnerable for free radical generation. Skin appears to age faster. Fine lines, wrinkles, dark spots, discolorations and uneven skin tone can all become more apparent. Goats milk is a buffer that leaves skin very close to its natural pH. After using commercial soap, skin takes an average of two hours to re-establish to its correct pH. This explains the tight and itchy feeling experienced after bathing. It's the basis for the claim that soap should not be used on the face. This concern disappears when using goats milk soap, since the skin’s acid mantle is left intact. Goats milk soap is a natural moisturizer, due to the humectant or moisture attracting properties of milk, the beneficial medium chain fatty acids abundant in the milk and the combination of skin nourishing oils that compliment it. It's a mild and gentle, moisturizing, soap. It gently cleans without oily after effects. 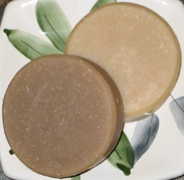 Some are concerned that moisturizing soap will leave their skin oily, or aggravate acne. Nothing could be farther from the truth. Excessive oil production is, often, a protective skin reaction to harsh soaps and detergents. This is never a problem with goats milk soap. It's extremely gentle. Handmade soap experts confirm goats milk is the ingredient that makes the difference between regular handmade soap and a miraculous luxury item! People notice a difference between goats milk soap and commercial soap the first time they use it! DULL SKIN: Have youthful glow. Keeps skin close to natural pH balance. SENSITIVE SKIN: Non-irritating. Available as unscented soap. ACNE/SCARS: Gets rid of blackheads, blemishes, pimples. Reduces redness & inflammation. Fades acne scars. AGED SKIN: Reduce fine lines, wrinkles. Fade discolorations, dark spots. OILY SKIN: Protect bacterial spread, causing acne, with no oily affects. Learn how to make soap with homemade soap recipes! What goes on your skin affects your health! The skin is the largest organ of your body! STOP wasting money on manufactured soaps with cheap foaming agents and harsh chemicals! Learn homemade skin care tips with homemade recipes! Natural goats milk soap is healthful and nourishing for skin!